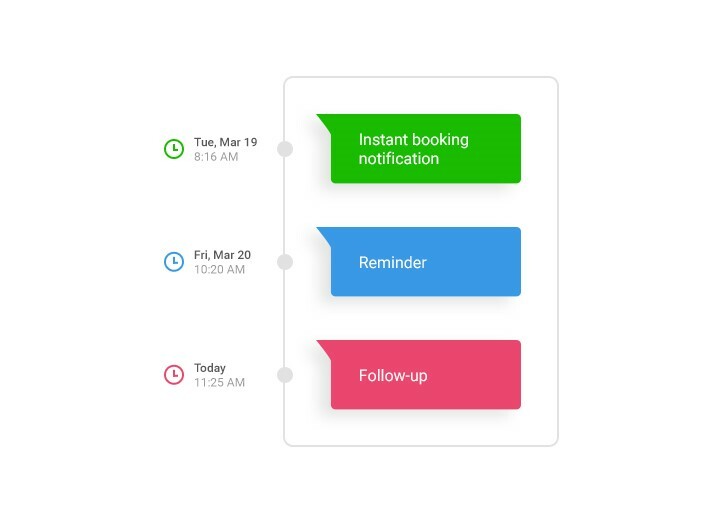 Up until now you had just one template for the reminders that got sent to your clients, but with our latest update you can now define and use different messages. What’s also new and helpful is that you can send a message even after the appointment. Your appointment with Lisa/Butterfly Studio on DATE at START TIME has been successfully booked. To reschedule, please call (917) 478-3387. Just a reminder from Lisa/Butterfly Studio about your appointment on DATE at START TIME. To reschedule, please call (917) 478-3387. If you need more inspiration, we’ve posted here 35 reminder templates and thank you messages to help you as you set your friendly text message reminders for your salon clients. Then in this article, there are more templates with appointment reminders from various industries and business fields. In the app we have changed the name of the section where you can view all messages and their status from Reminders to Messages. It’s accessible in the same location Menu → Messages. 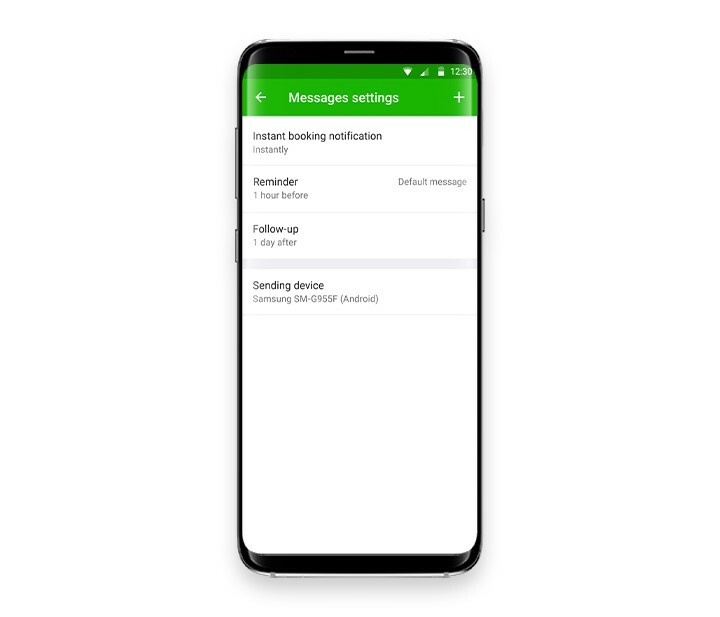 You can define and edit your messages in Menu → Settings → Messages. Name: You can pick any name for your message. 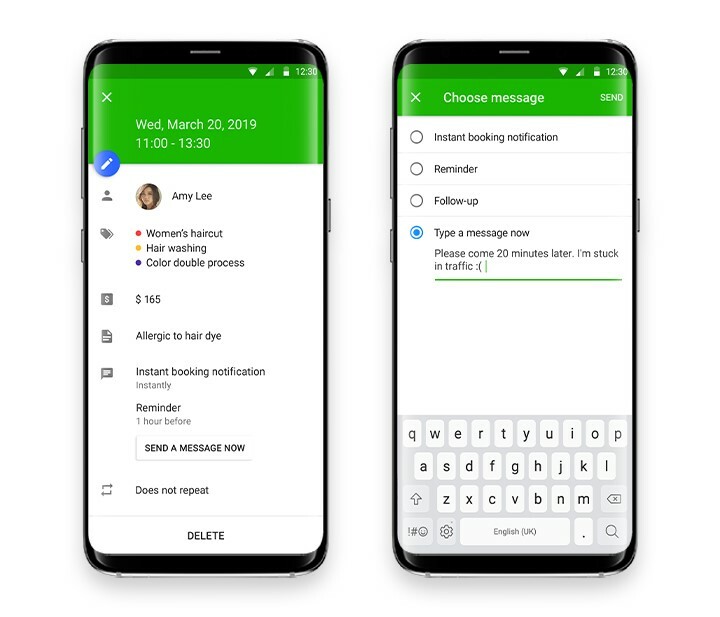 Sending times: You can define multiple sending times for a message: (1-100) minutes/ hours/ (1-30) days / (1-4) weeks | instantly/before/after the appointment. Template: Here’s where you actually set what gets sent to the clients. Date & time format: Here you can control the date language and format within the message. Default message: If this option is checked, the message will be added to every appointment you create. We have also improved the messaging options from the appointment details screen. Here you’ll find a new button called SEND A MESSAGE NOW that replaces the old REMIND NOW button. When tapping it, you’ll see the list with your defined messages but you can also type and send a custom message at any time. 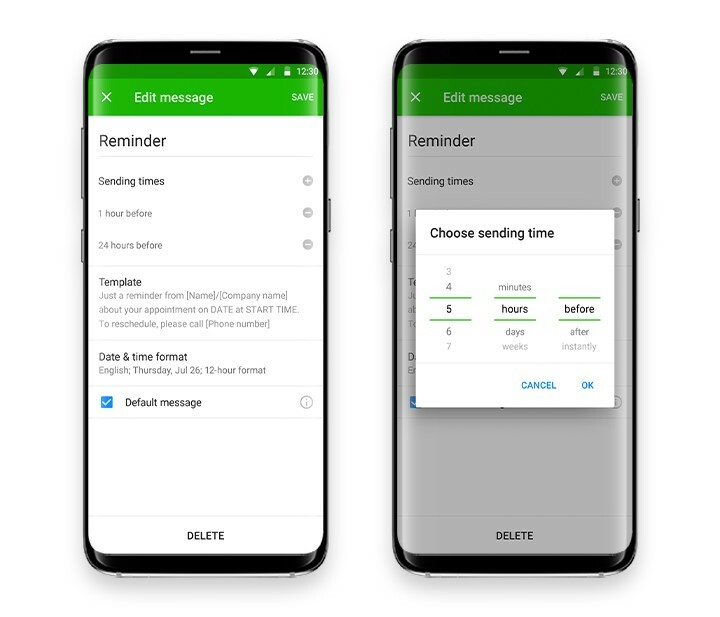 You can also define in Menu → Settings → Messages a template that doesn’t have a sending time, but which will be available in the messages list when you want to send it using the SEND A MESSAGE NOW button. One such example can be a cancellation confirmation. When someone cancels, you can quickly send this type of message and then delete their appointment. Just a confirmation that your appointment with Lisa/Butterfly Studio on DATE at START TIME has been cancelled as you requested. You can reach me anytime at (917) 478-3387. The update is available now in the App Store and Google Play. After installing the new version, a sync process will start that might take several minutes. Please make sure you’re on a good internet connection and leave the app open until finishes the syncing process. We’re sure many of you will be happy about these new useful options. They bring more flexibility and they will help you become and look even more professional, improving communication and building customer loyalty. 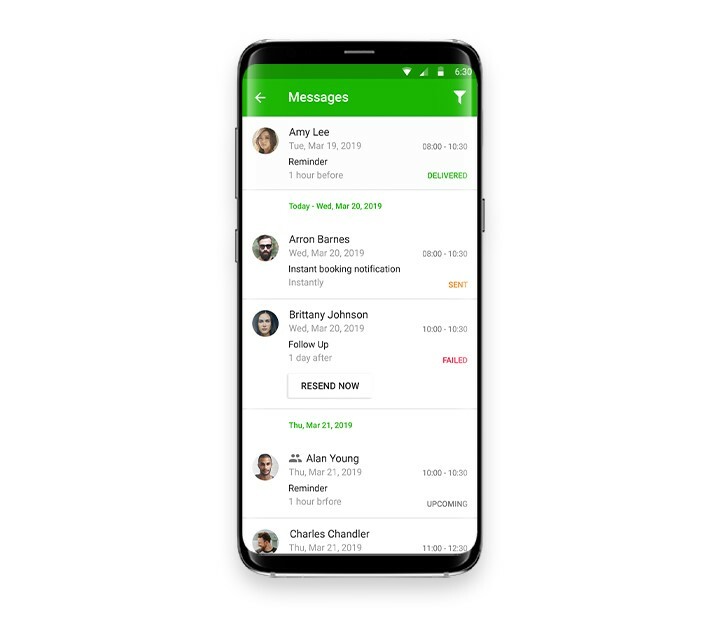 Multiple templates for messages is included in the Premium ($9.99/month or $99.99/year) and Ultimate ($19.99/month or $199.99/year) plans. However, the feature is not available if you are subscribed to the old Premium plan ($6.99/month or $69.99/year) or if you received Premium for free as part of a promotional campaign. If you decide to upgrade to the NEW Premium, you can easily do it from the app: Menu > Upgrade account. In the plans comparison screen, on the Premium plan you’ll see buttons to get the new Premium ($9.99/month or $99.99/year). Thank you for all your support in building a better product!